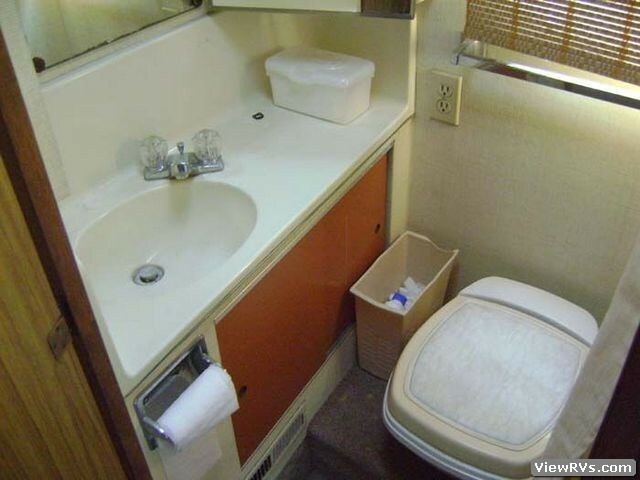 1974 FMC 29' Motorhome Exhibit "B"
Runs, drives, stops. 440 Chrysler industrial pusher, 727 transmission, Rockwell differential, Alcoa aluminum wheels (7), so its easy to find tires. Original FMC's came with a smaller obsolete wheel size so this is an important detail. Takes 19.5" rubber. 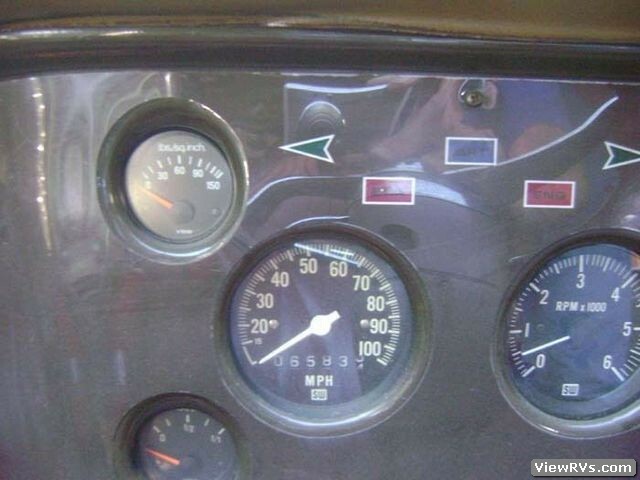 It's an old motorhome but very advanced for its time. 4 wheel independent suspension gives a very low profile (under 10 ft tall) and allows easy entry/exit since there's only one step. 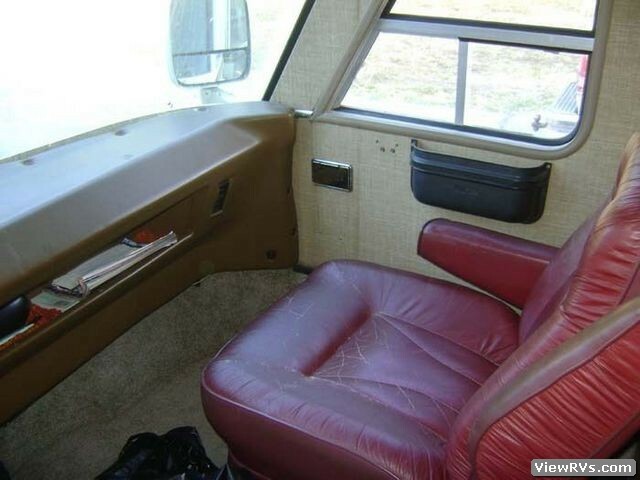 Also has a drivers door which is very handy. 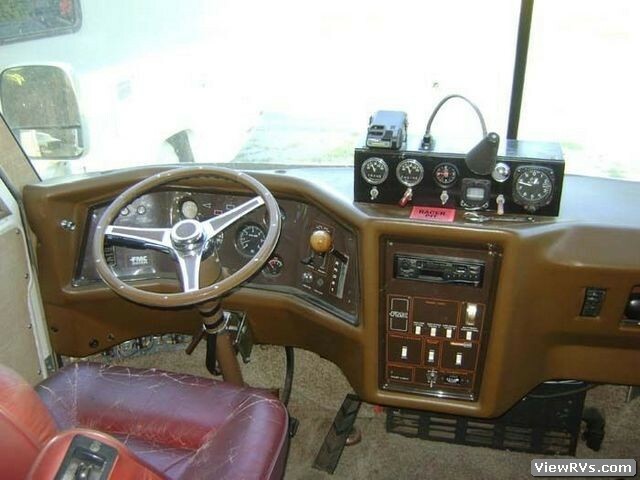 Drives very smoothly, its handling is unlike any other RV new or old. 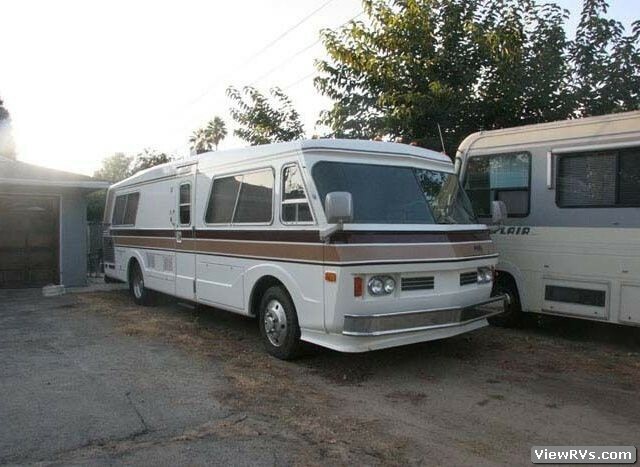 More like the sports car of motorhomes but if you try this your dishes will be everywhere! 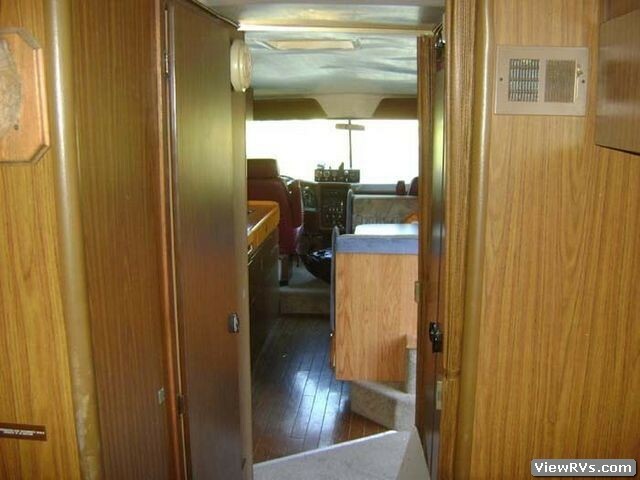 Coach is 29 feet long, has dual house air conditioning (original and working) and dual engine air (dash and rear not currently working but complete). Under 70,000 miles on the original driveline. 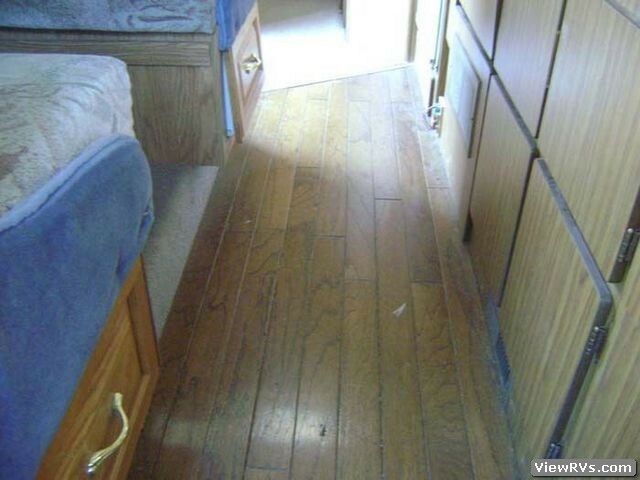 Has hardwood flooring in the kitchen area. 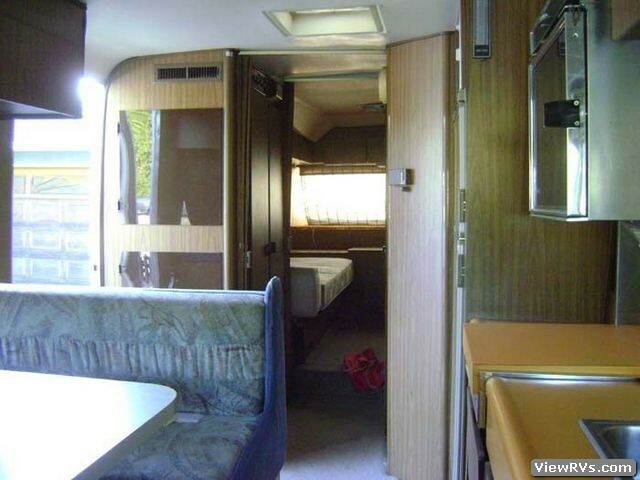 Dinette, mid bath, rear bed room. (Twins that can be made into one.) Recently installed new custom woven wooden shades on all windows.